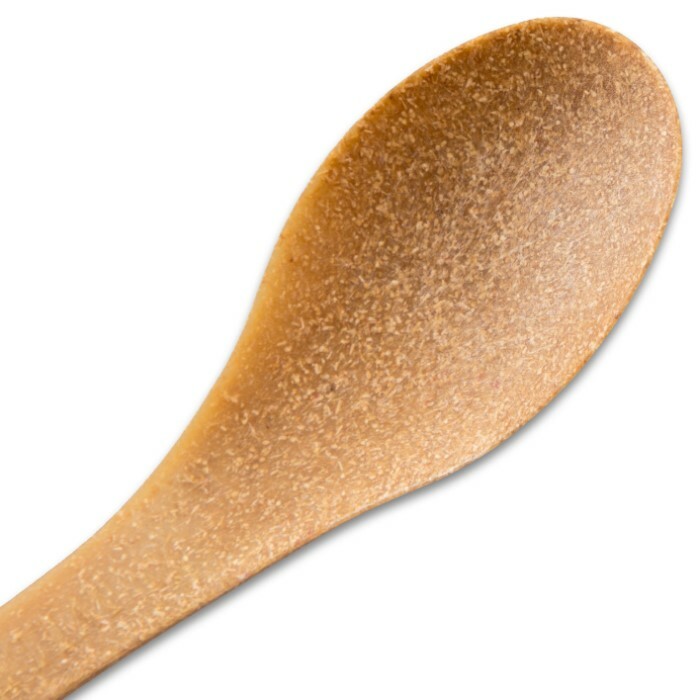 Trailblazer Bamboo Biodegradable Spork - Four-Pack, Eco-Friendly, Integrated Knife Edge, Smooth Finish, Reusable | BUDK.com - Knives & Swords At The Lowest Prices! 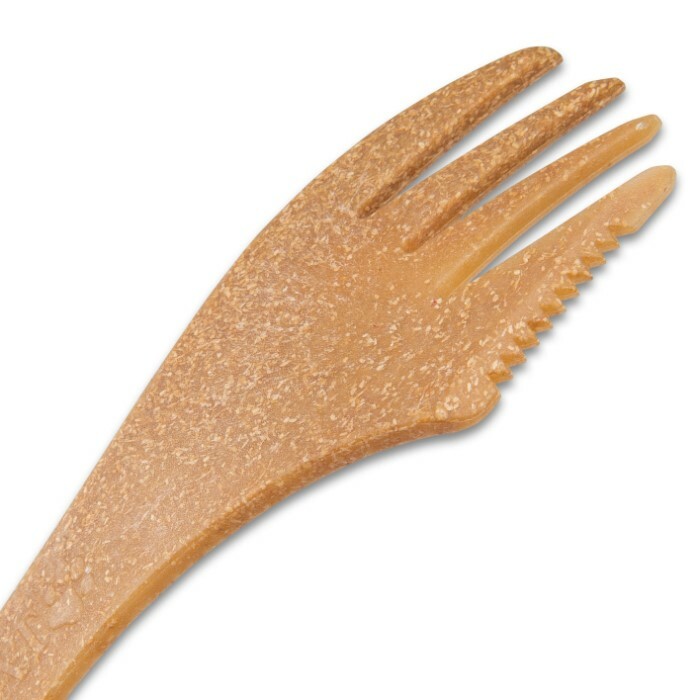 Okay, we all know that the spork was one of the best inventions since sliced bread because you get a fork and spoon in one dining utensil. Now, Trailblazer is going green with its eco-friendly Bamboo Biodegradable Spork, which is made out of 100 percent natural, high-quality bamboo that has been sanded to a smooth finish. 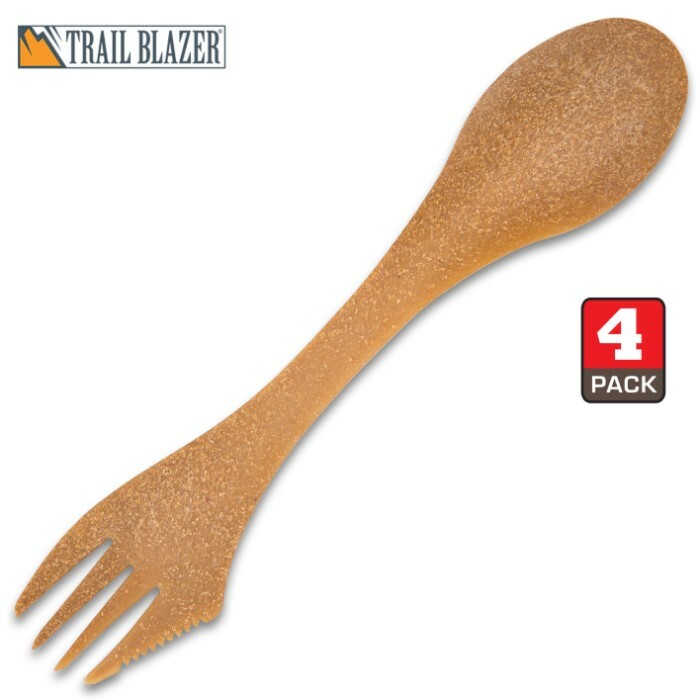 It’s great for camping and hiking trips or just regular to-go lunches and Trailblazer has improved the traditional spork design with an integrated small knife edge. If you lose one, you don’t have to worry because it’s biodegradable and you get four in the pack.